But that's where it stopped. Yes, Beyonce is well, Beyonce. She is sure to put out some hot songs, have a hotter performance and add a few dances for us girls (and some guys on youtube) to do in the club. However, the cd was somewhat disappointing. Don't get me wrong, it's a decent cd. I actually like it...I can pretty much play it from start to finish without skipping any tracks...that is until you have to insert the 2nd disc...which wouldn't be as annoying if she had put more than 8 songs on each disc (5 songs for the standard). This whole "Sasha Fierce" thing was the biggest gimmick of 2008. 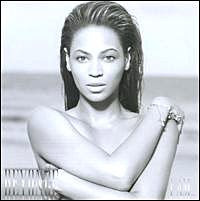 The songs on the Sasha Fierce disc are typical Beyonce...just club songs. I think the whole thing was pointless and feel as if I officially got GOT by buying into the whole thing. On the flip side, I am grateful for the "single ladies" video which spawned countless youtube folks to try their hand at it...not to mention myself (I only bothered learning my favorite parts...and by the time I start doing it in the club I've usually had 1 too many drinks). Feeling lackluster about my Beyonce experience, it made me think back to August when I bought Solange's CD...I have to say that I think Solange put out a great, if not one of the best, R n B/Funk cd's this year! She, in my opinion, beat out Beyonce for 2008. In other Beyonce related news, has anyone seen Mama Tina lately? She is the real Sasha Fierce...At 54 years old she seems to be getting better with time! 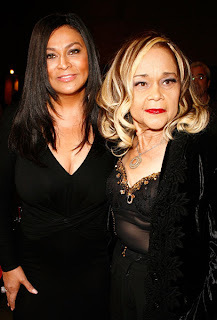 Check out a pic of Tina from the Cadillac Records movie premier earlier this week....In the pic with her is blues icon Etta James...who at 70 is also killing the red carper with her fierce swag! They both are simply stunning...and reiterate the good ol' saying: Black Don't Crack!